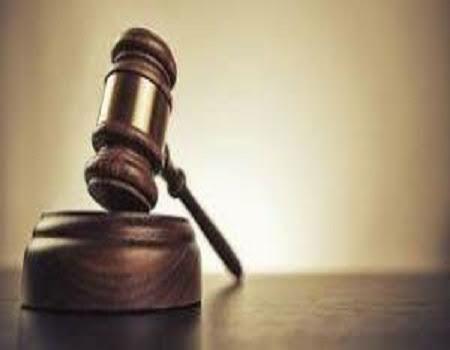 A 32-year-old Mechanic, Abubakar Mohammed, has been sentenced to six months imprisonment by a Lugbe Magistrates’ Court in Abuja on Friday for stealing a car battery. This was following Mohammed, pleading guilty to a one-count charge bothering on theft. However, the Magistrate, Mr Idharhi Samuel gave the convict (Mohammed) an option of N5, 000 fine. Samuel warned the convict to be of good behaviour and to desist from committing crimes after serving out his punishment. Meanwhile, prior to the judgement, the Prosecutor, Ukoha Ndidi, had informed the court that the convict stole a car battery belonging to the complaint, Bola Abimbola, of 304 Phase, 2 Block industry, Lugbe, Abuja, on Jan. 22. Ndidi told the court that the convict and one other person known as Major, now at large, forced the complainant’s car open and stole the battery valued at N25, 000. The prosecutor said the convict was caught and brought to Lugbe Police Station but his partner ran away with the said battery to an unknown destination. Ndidi said during police investigation and interrogation, the convict made a confessional statement. She said the offences contravened the provisions of Section 287 of the Penal Code. The prosecutor prayed the court to try him summarily under Section 347 of the Administration of Criminal Justice Act, 2015.